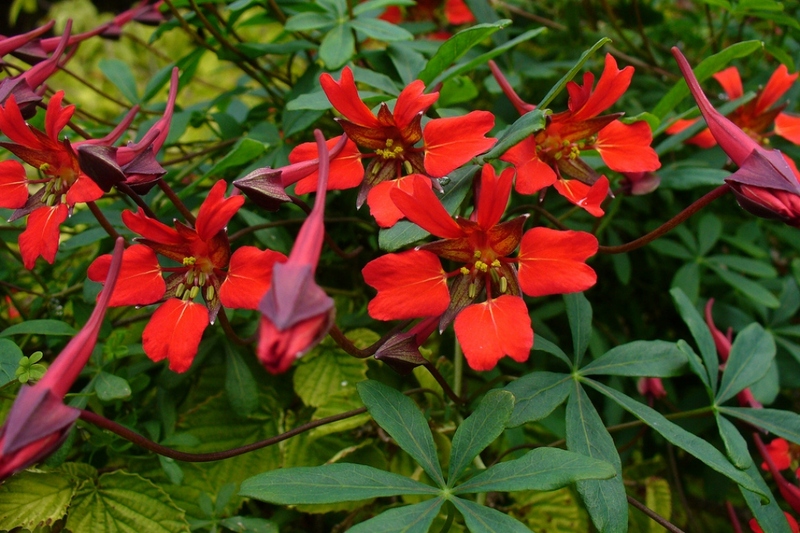 Flame Creeper (Tropaeolum speciosum): growing, planting, caring. 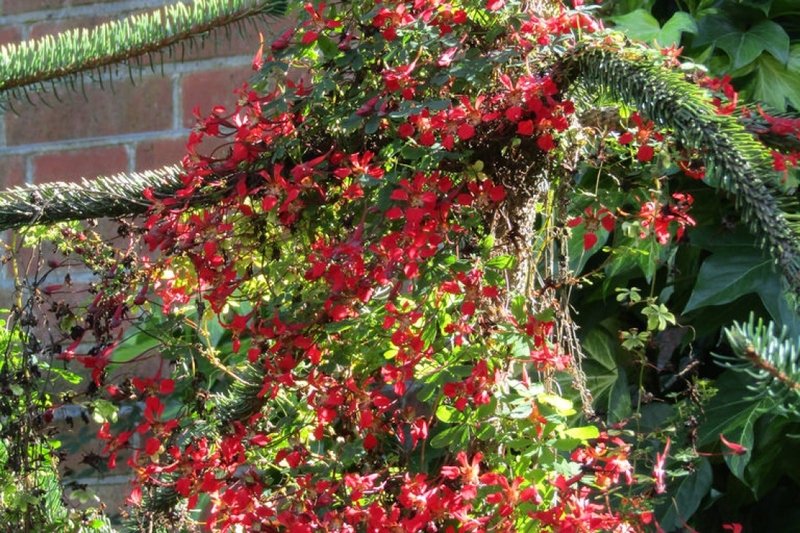 An original species of hardy climbing Tropaeolum - with a profusion of red flowers. 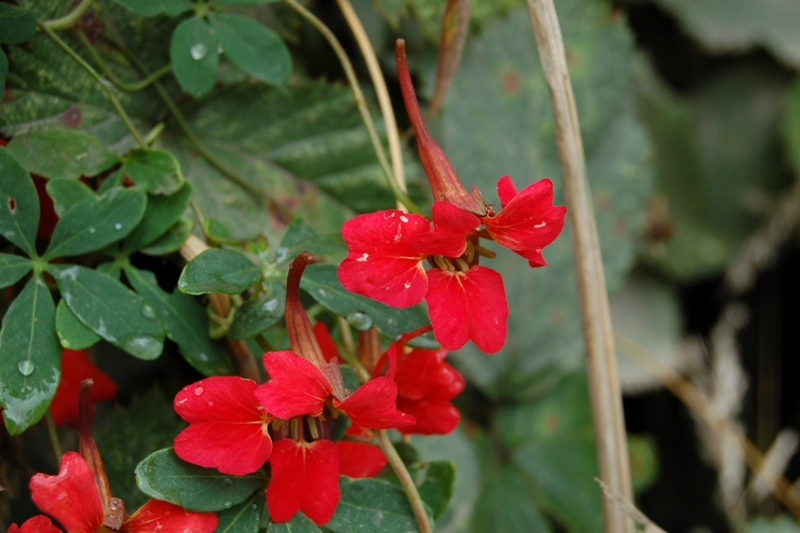 Full description for Tropaeolum speciosum not yet available. Starting at the end of April for mild climates — mid-May for more northern regions — choose a sunny space for your plants. Without sun, they won't flower well. Ordinary garden soil is ideal for the majority of varieties — overly-rich soil will harm flowering! 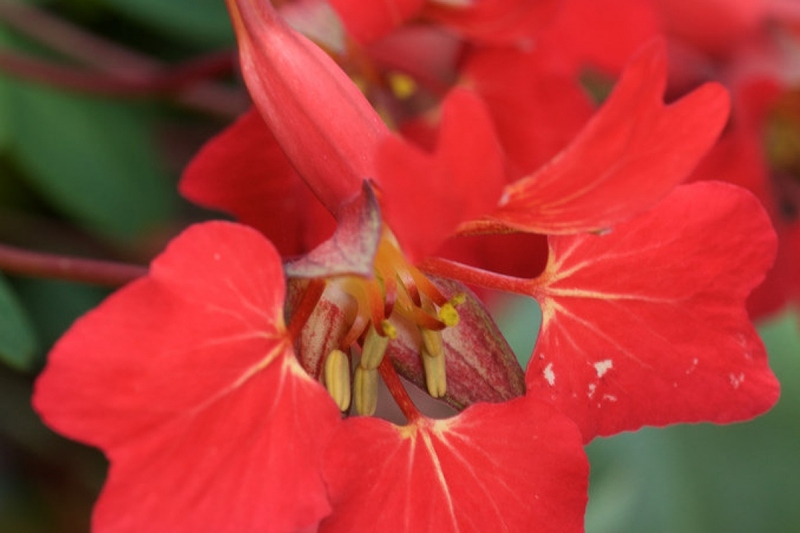 Additionally, avoid heavy or compact soils, which will hold in moisture, to the detriment of your nasturtiums. You may sow dwarf varieties in planters, but climbing varieties prefer open soil or large planter boxes — their growth is stunning! In open soil, sow 3 or 4 seeds in each seed hole, leaving a distance of 50 cm between climbing species, and 30 cm between dwarf varieties. 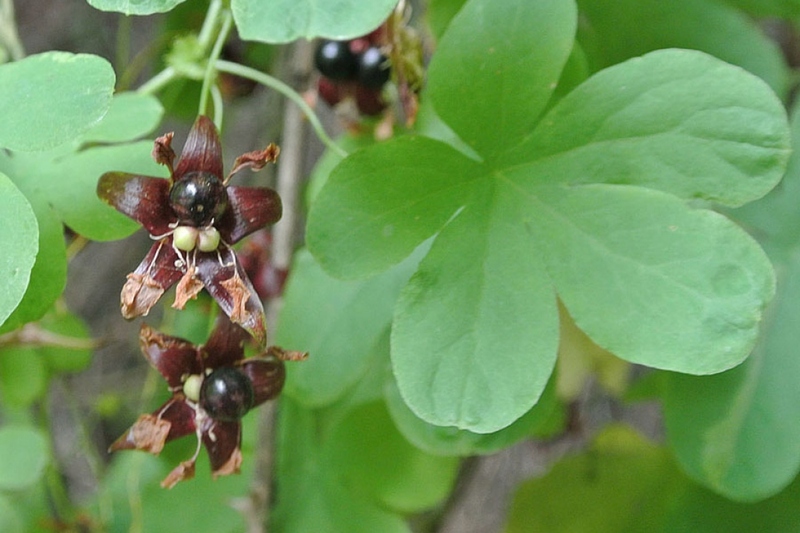 Nasturtium seeds are very hard! Soak them in a glass of water for a full night before sowing. If you have planted seedlings, watch for there emergence, which should take one to two weeks, and keep only the strongest shoot. The black aphids are the main enemy of the nasturtium - it is even used in the kitchen garden, to attract these critters, and save the vegetables grown! To get rid of it, shower the foliage with a solution of rainwater - less limestone than the tap - with black soap and a spoonful of baking soda per liter.